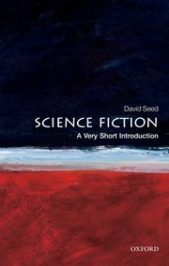 Cameron’s application follows a principle of transference and repeats the old science fiction dream of the human mind being projected beyond its bodily limits. Indeed, Cameron admitted that he was drawing on the whole tradition of science fiction for his film and attempting to apply ‘wrap-round’ technology to give the viewer maximum immersion in the spectacle. The more common use of “avatar” denotes a computerized human simulation, introduced as early as 1975 in John Brunner’s The Shockwave Rider and then further dramatized in Neal Stephenson’s Snow Crash (1992). Brunner shows his character in flight from a threatening government programme; Stephenson evokes a more complex situation where his protagonist negotiates his way between different information systems. In Snow Crash avatars confuse their observers by blurring the boundaries between the physical body and its representations, whereas since the 1990s they have become staples of modelling and self-modification. The website Technovelgy includes these cases among many others embodying links between SF and technology.